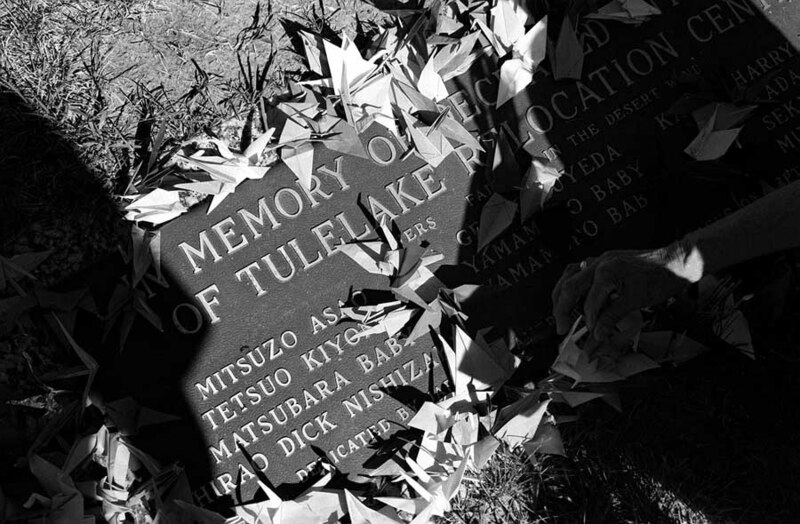 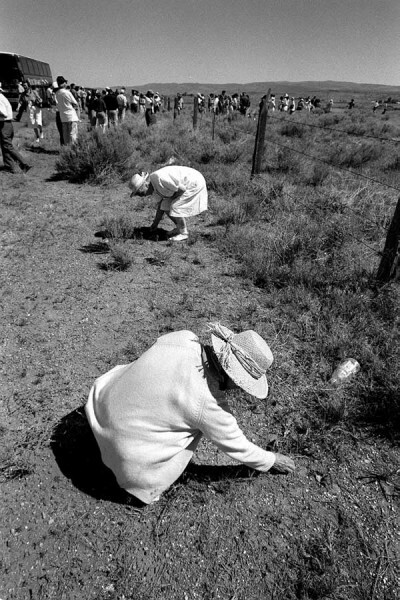 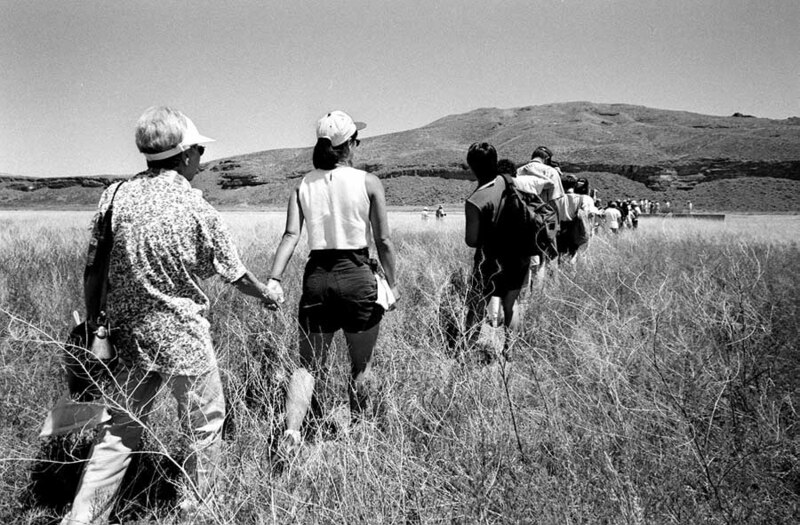 In 1994 I accompanied a group of survivors and their descendants on a pilgrimage to the Tule Lake camp in northern California. 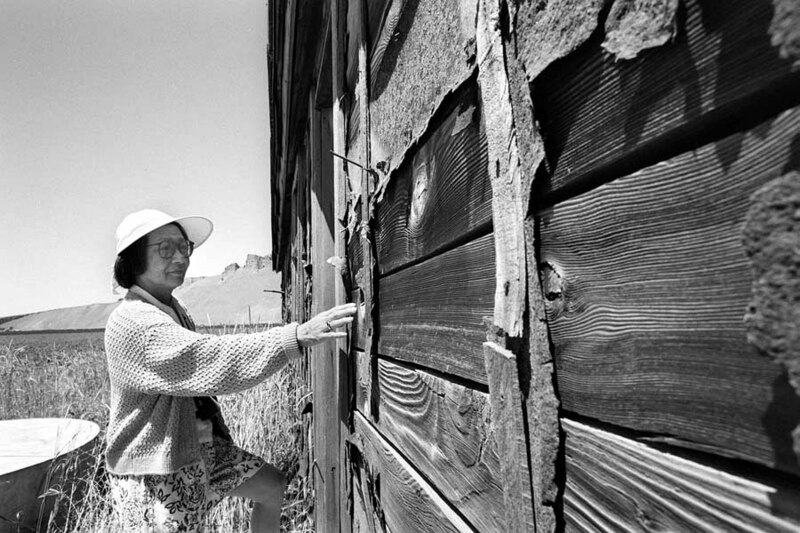 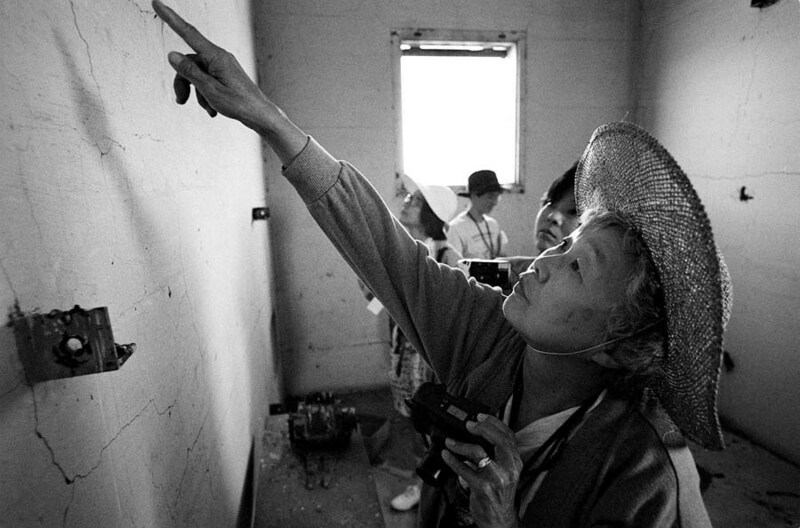 Touching a barracks at Tule Lake. 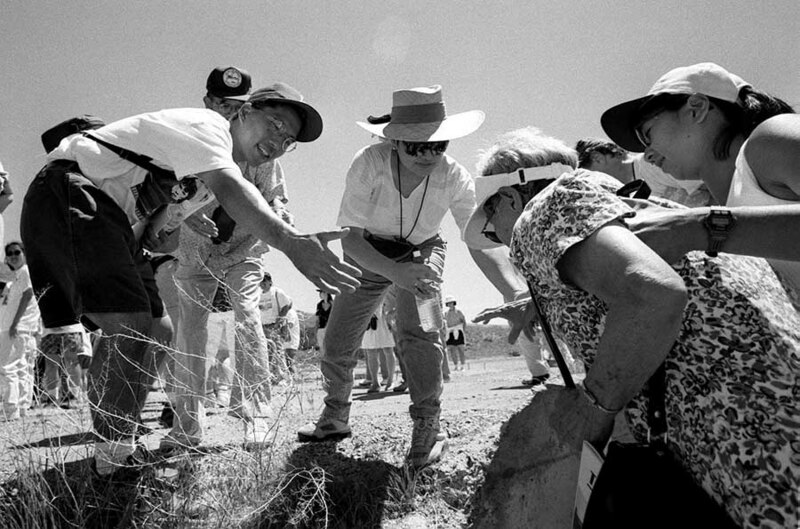 Finding the foundation of a camp building. 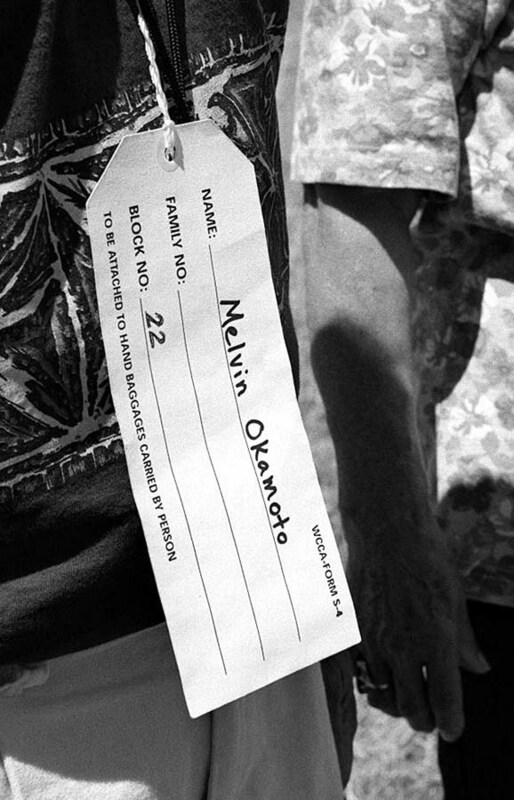 Recreation of the tags worn by evacuees. 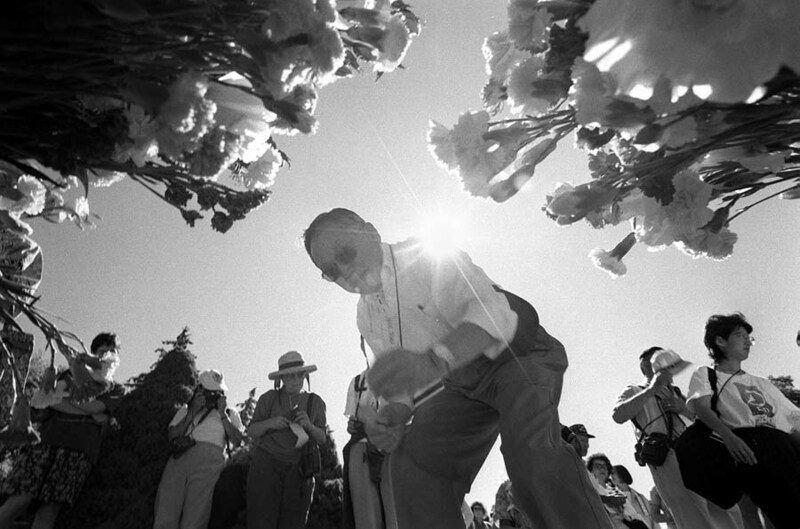 Placing flowers at the cemetery.